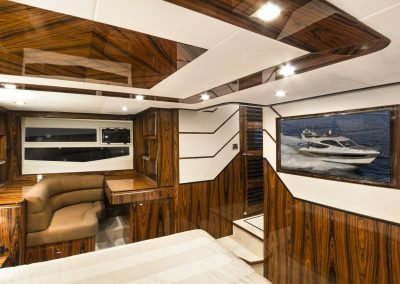 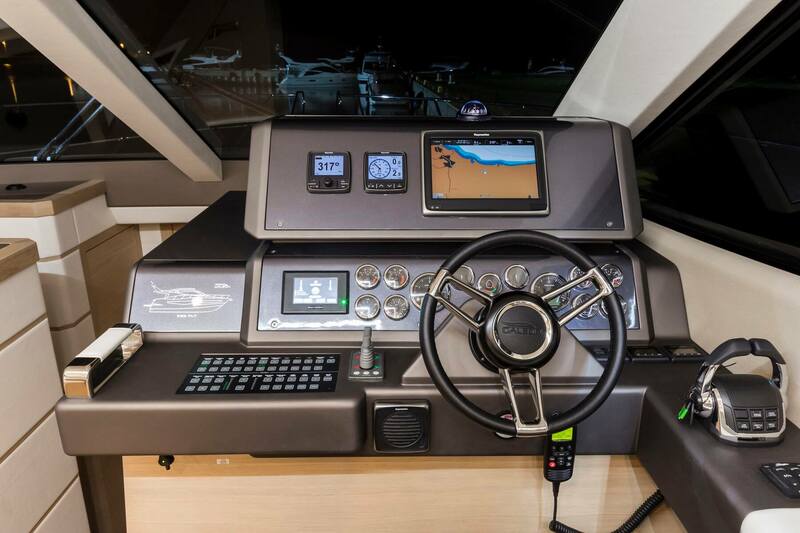 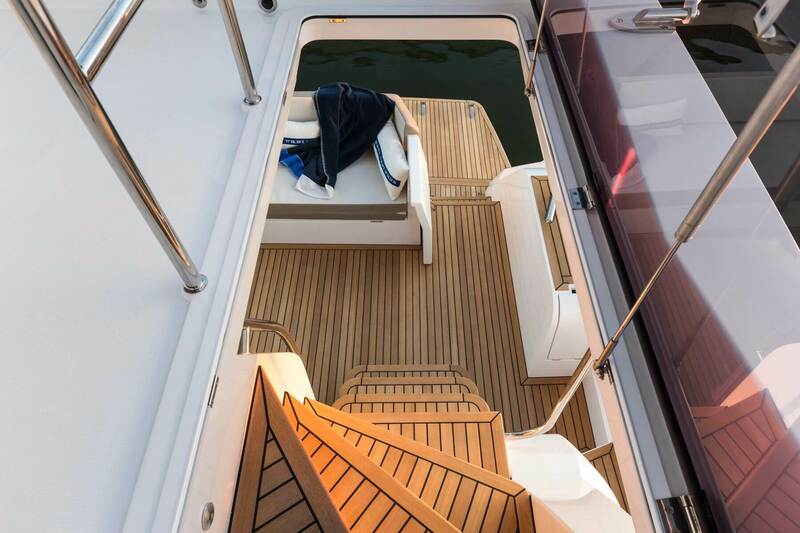 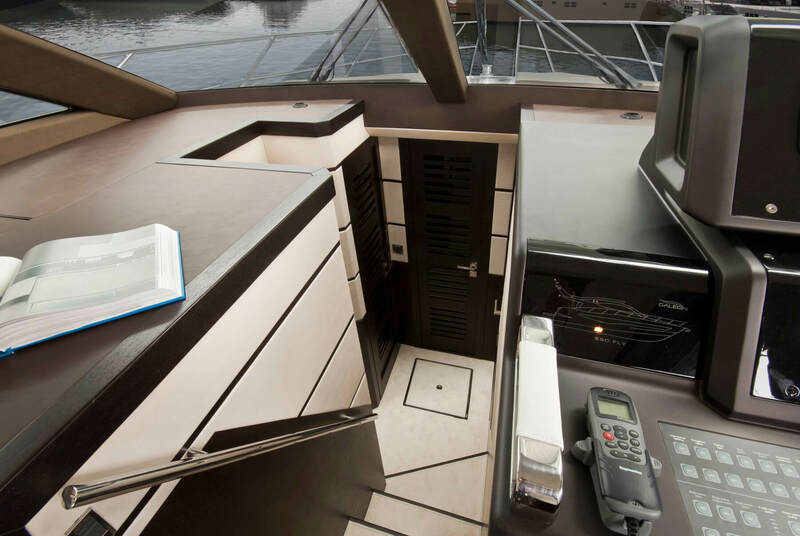 The coherent layout has allowed for an unprecedented amount of space an all three decks, while maintaining a classy and appealing presence. 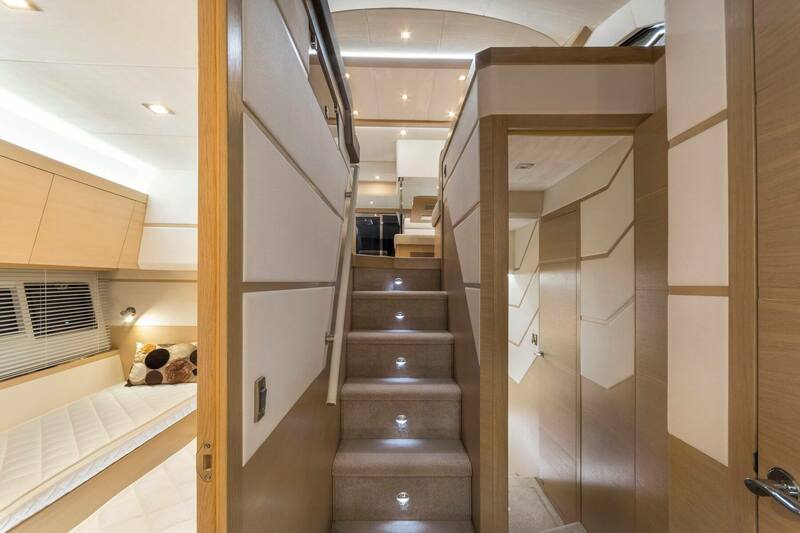 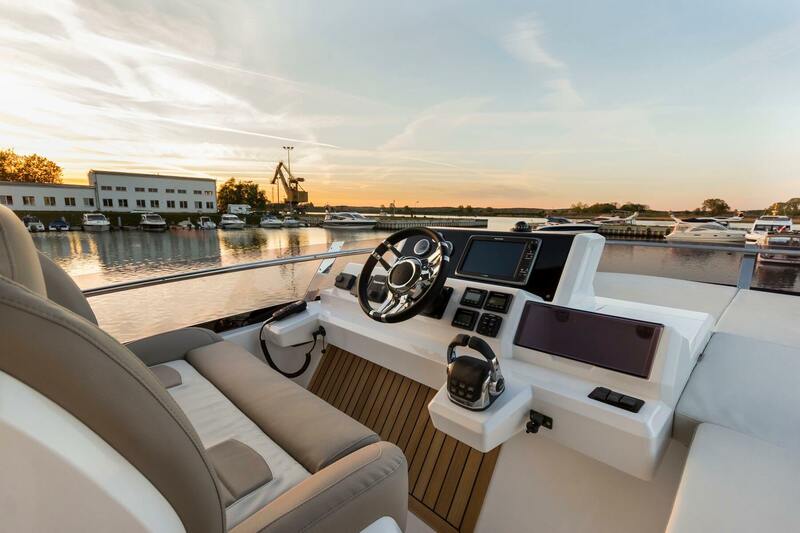 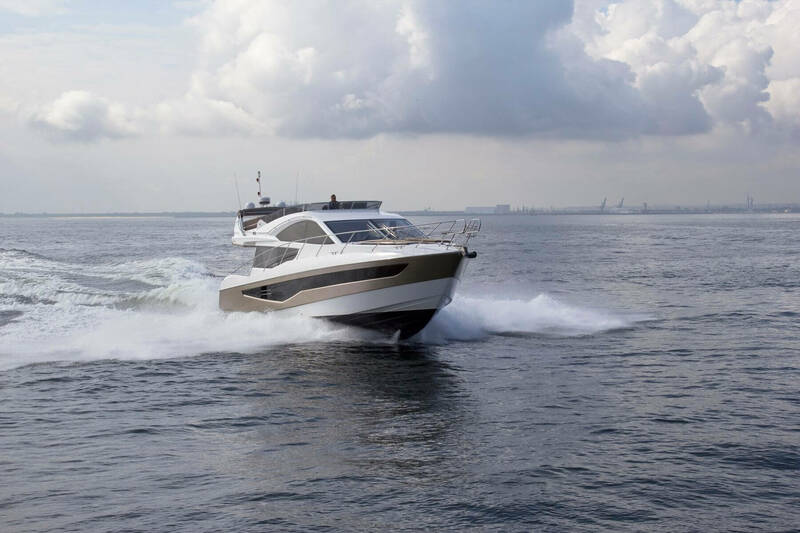 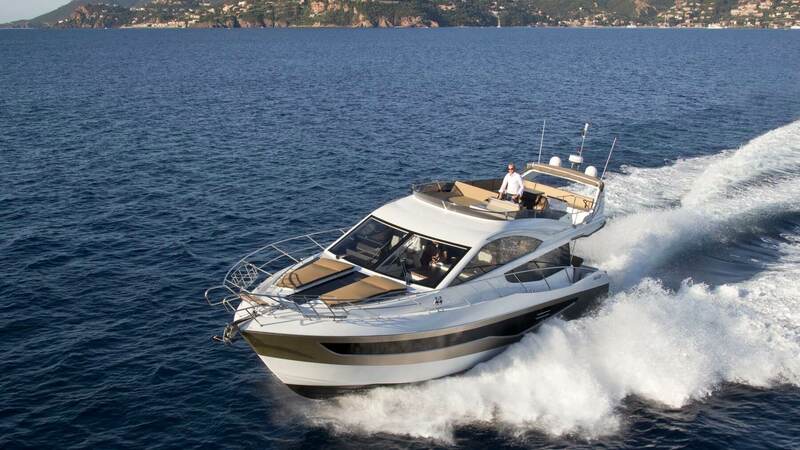 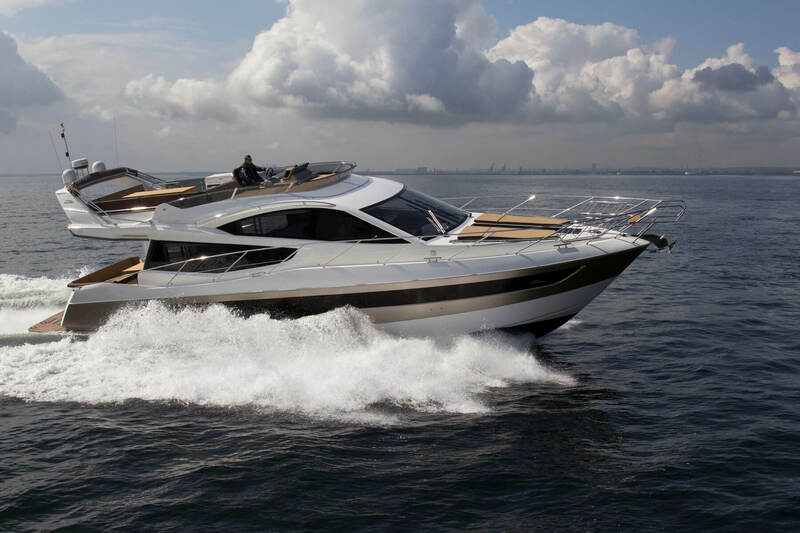 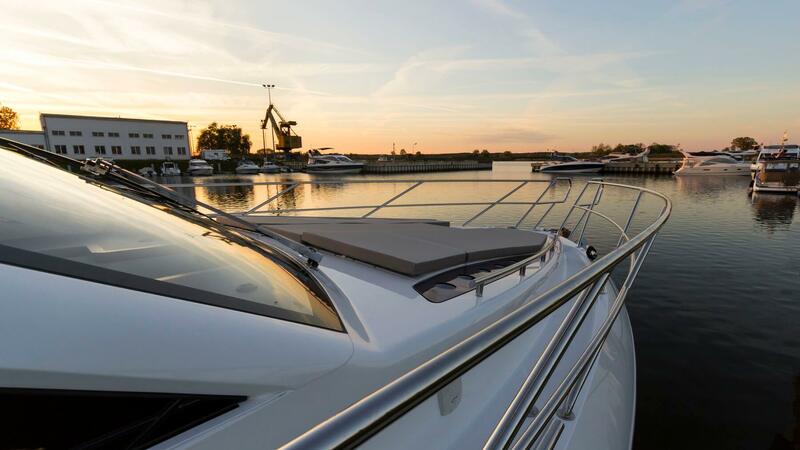 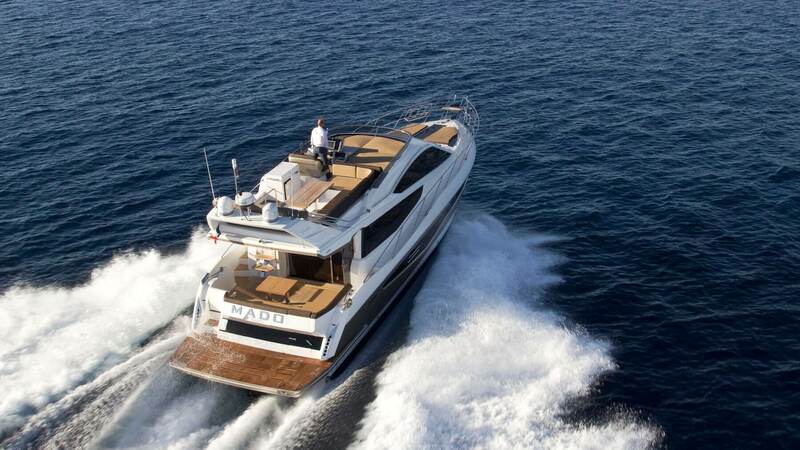 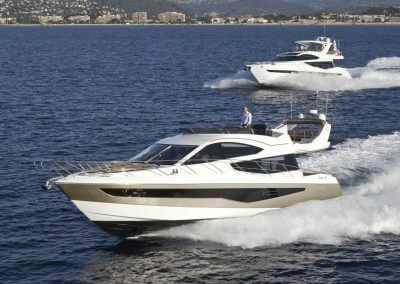 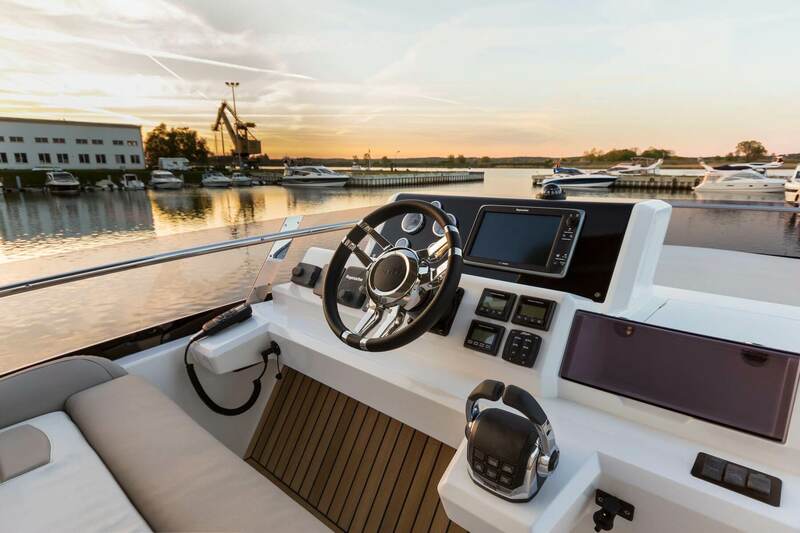 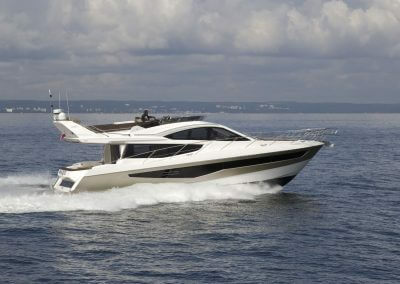 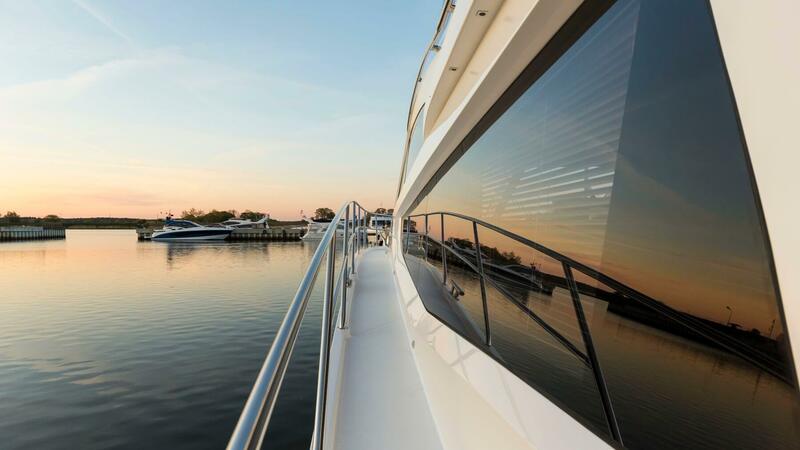 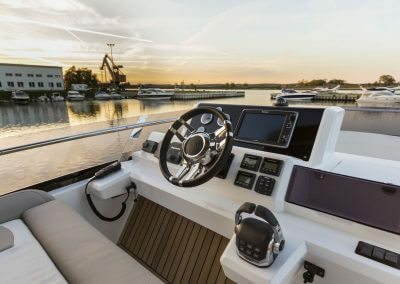 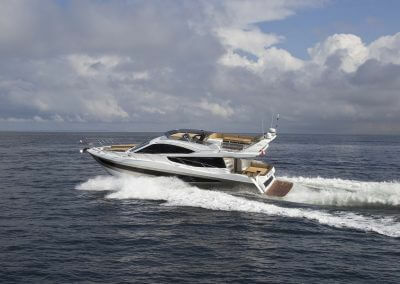 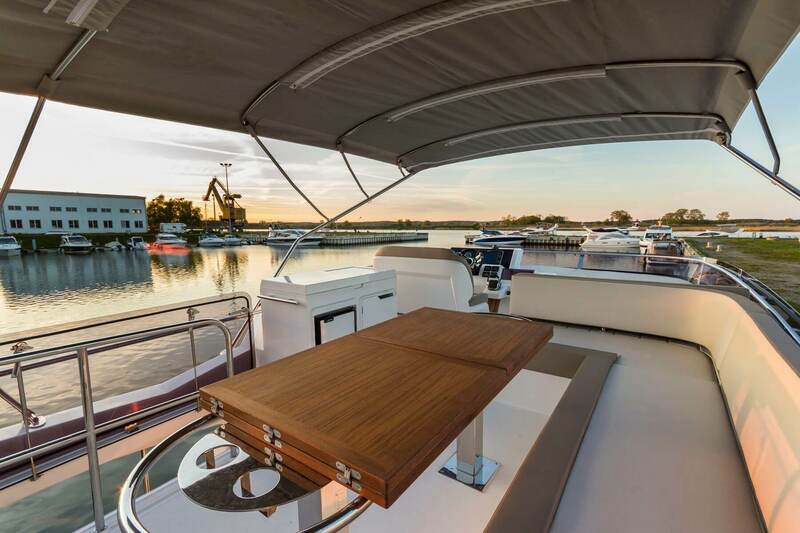 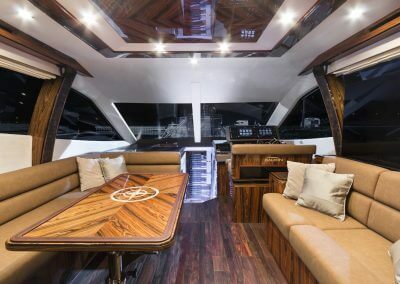 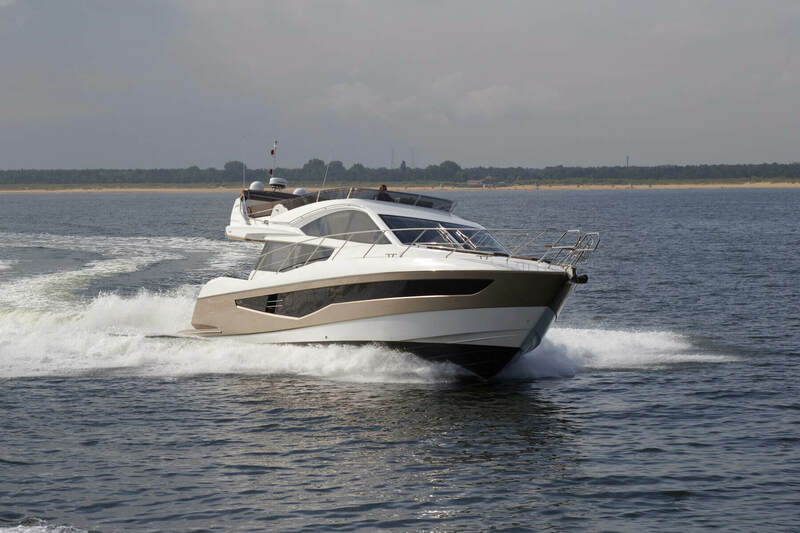 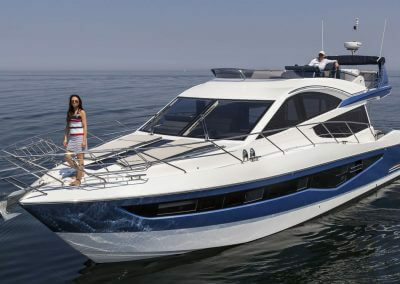 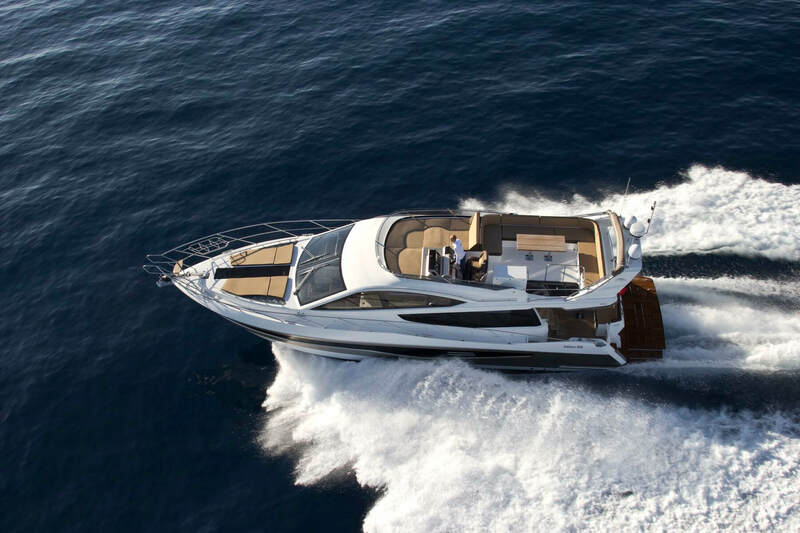 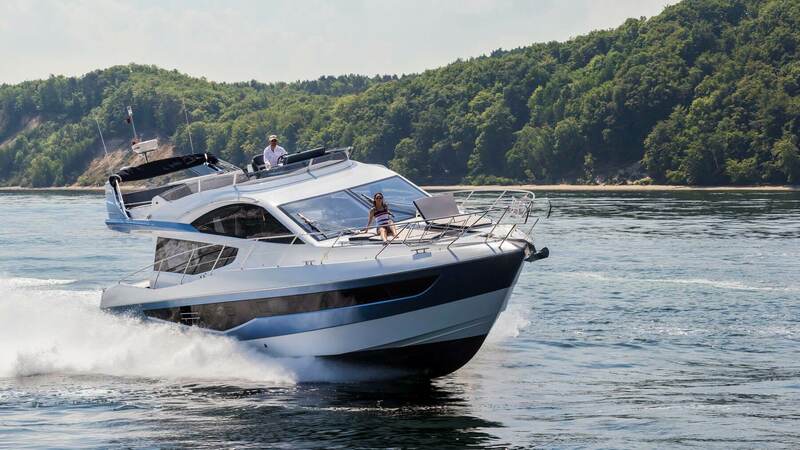 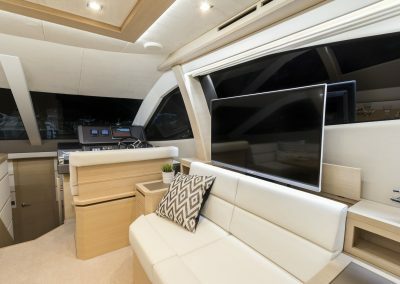 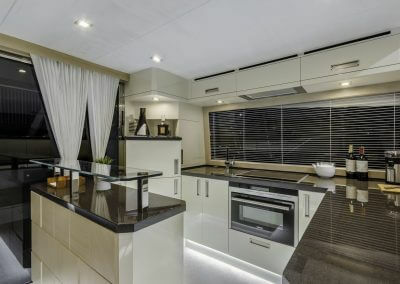 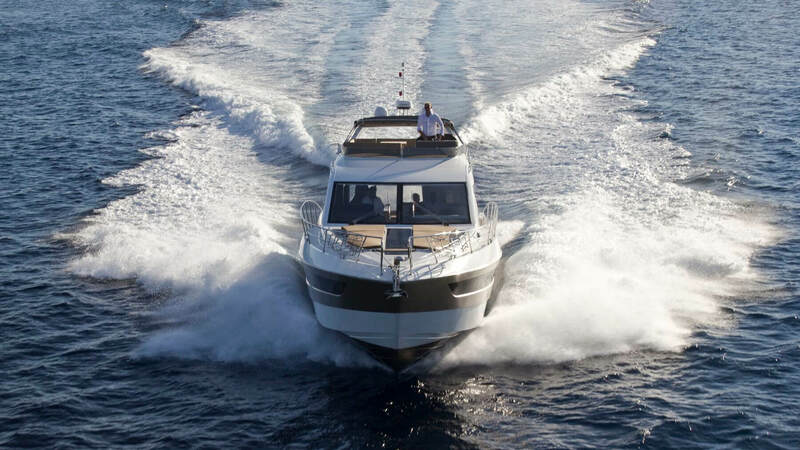 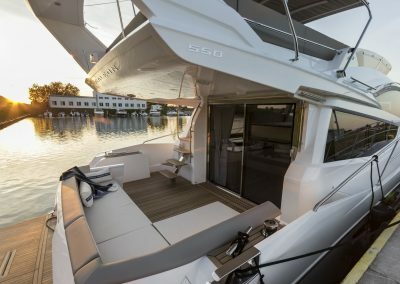 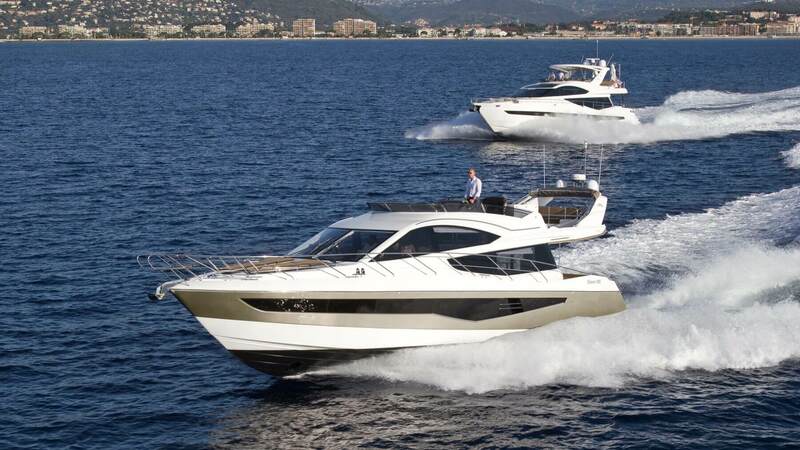 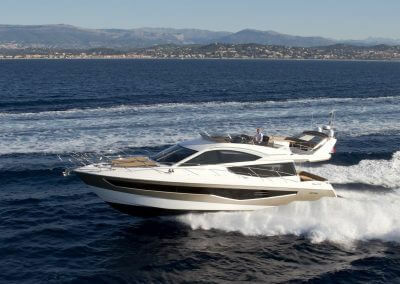 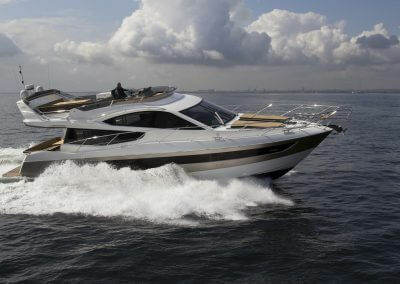 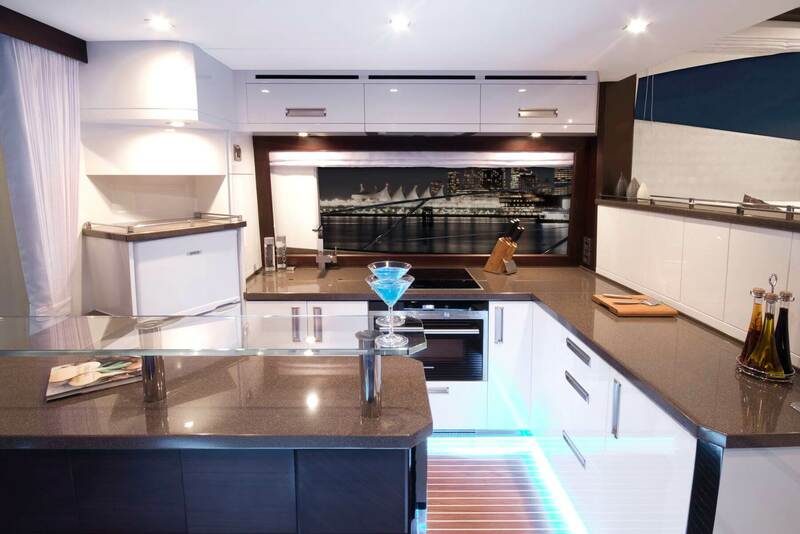 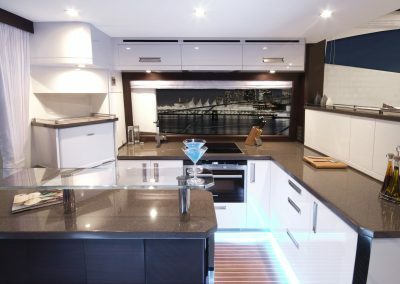 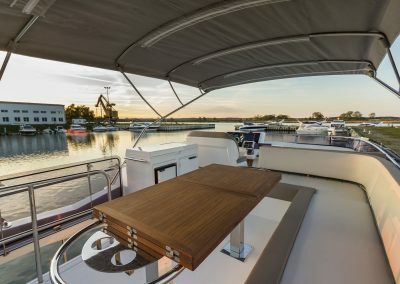 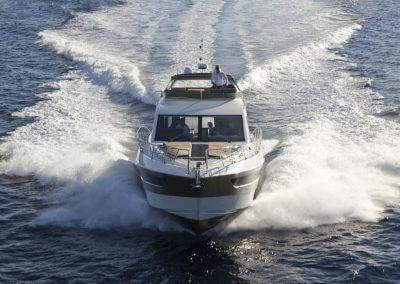 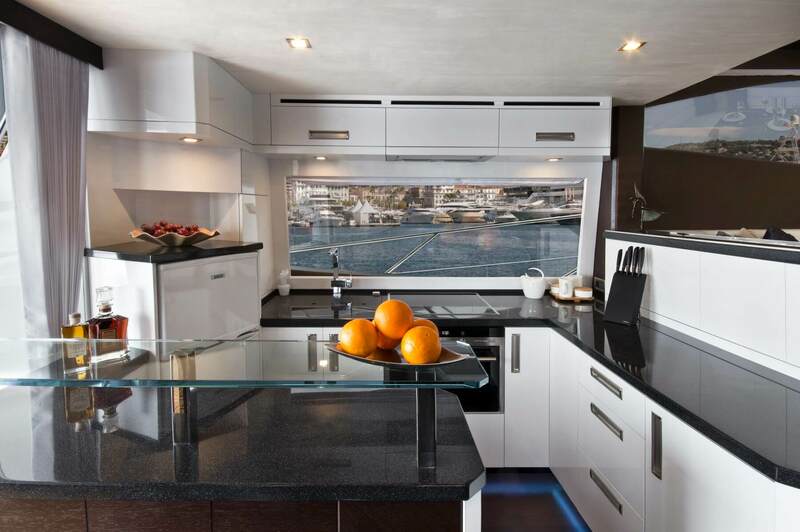 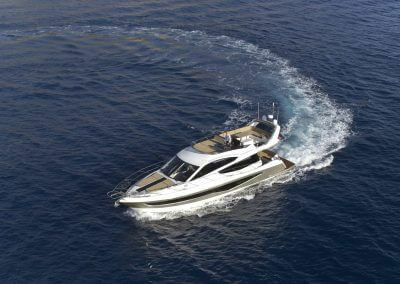 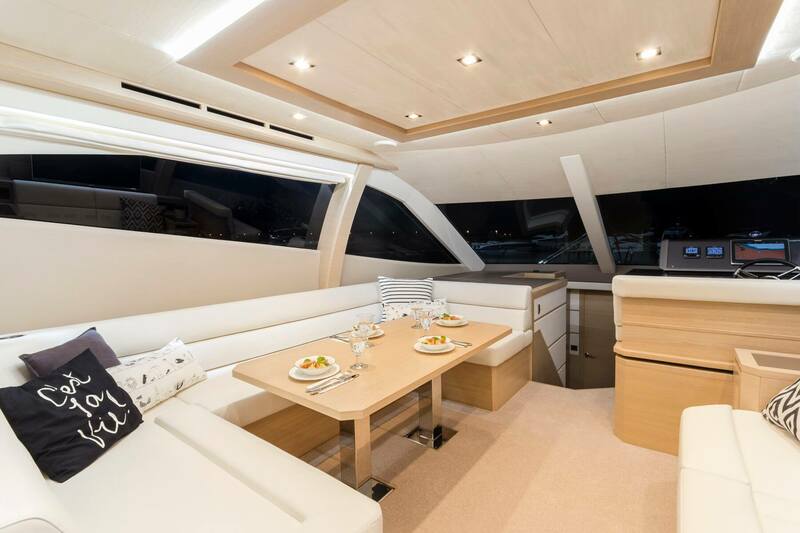 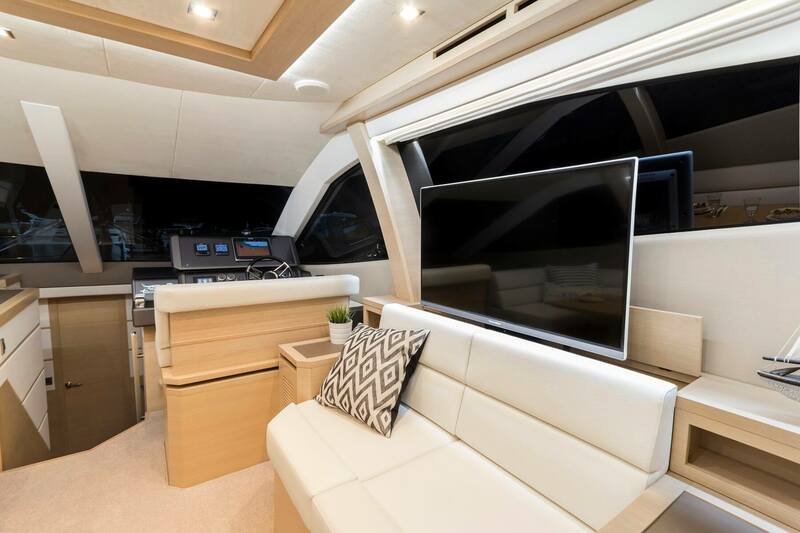 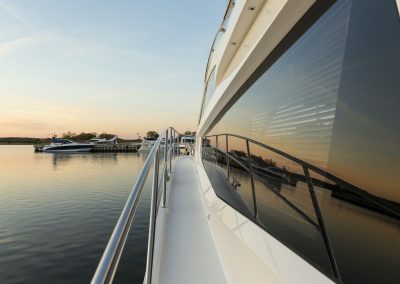 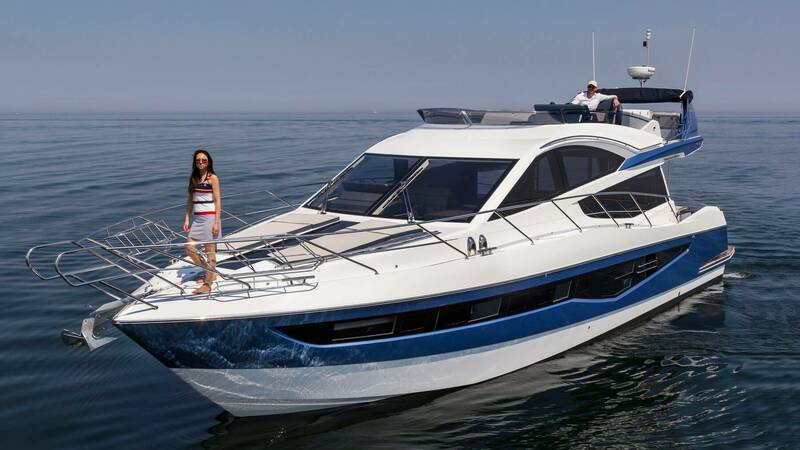 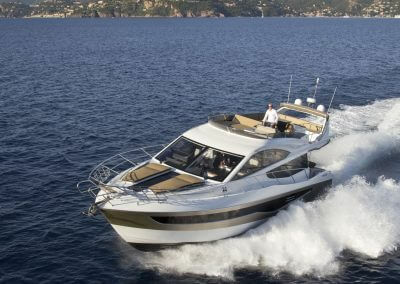 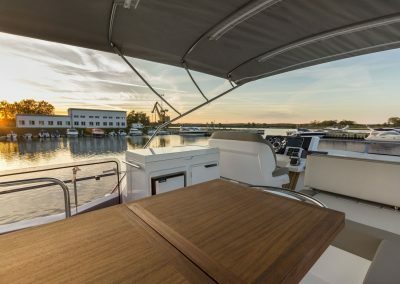 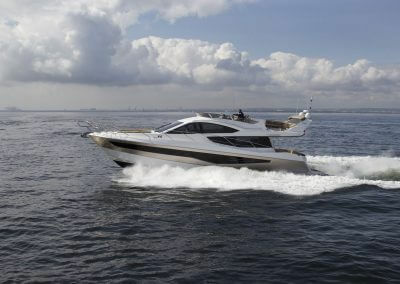 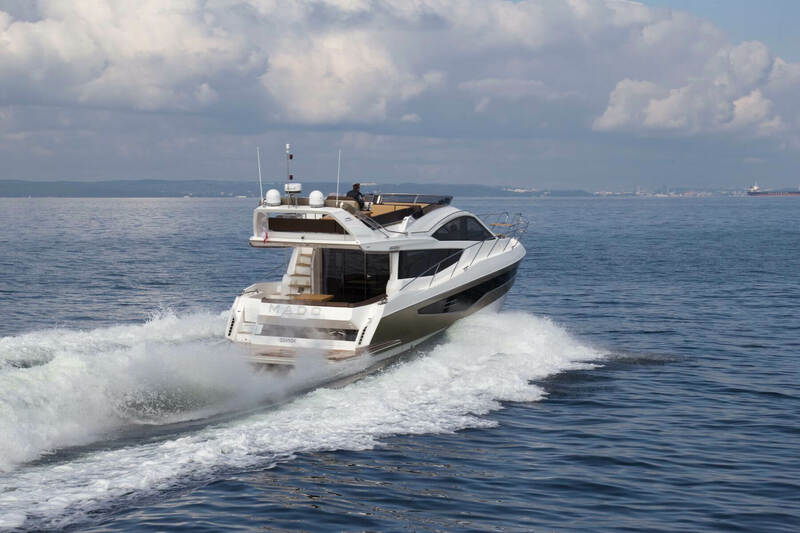 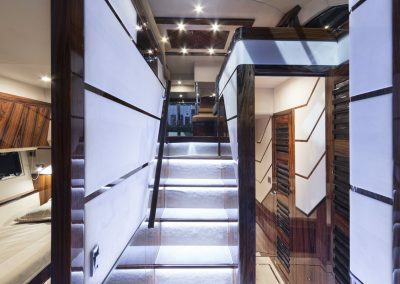 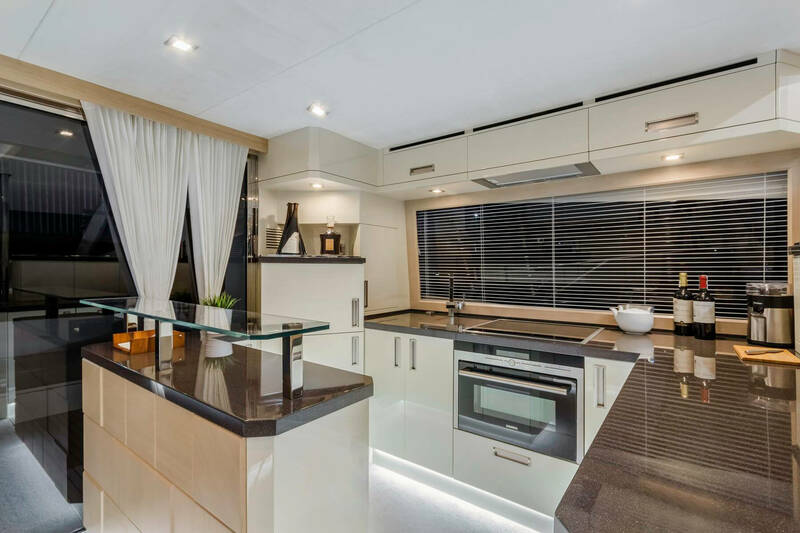 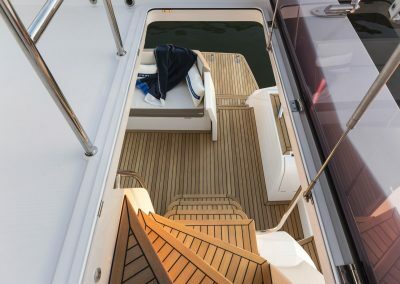 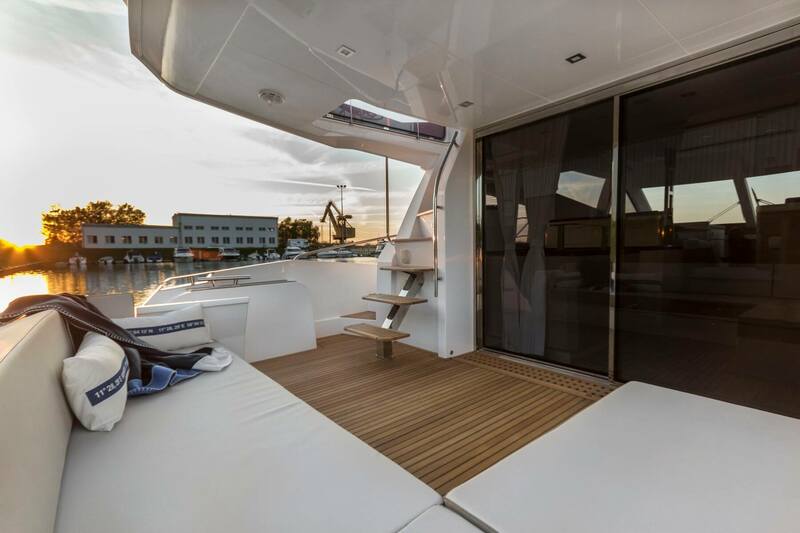 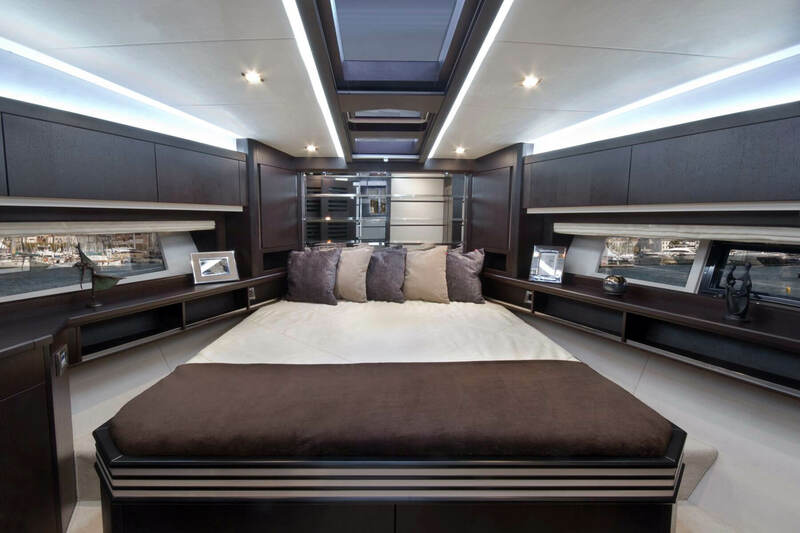 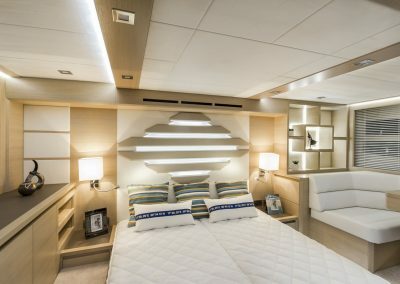 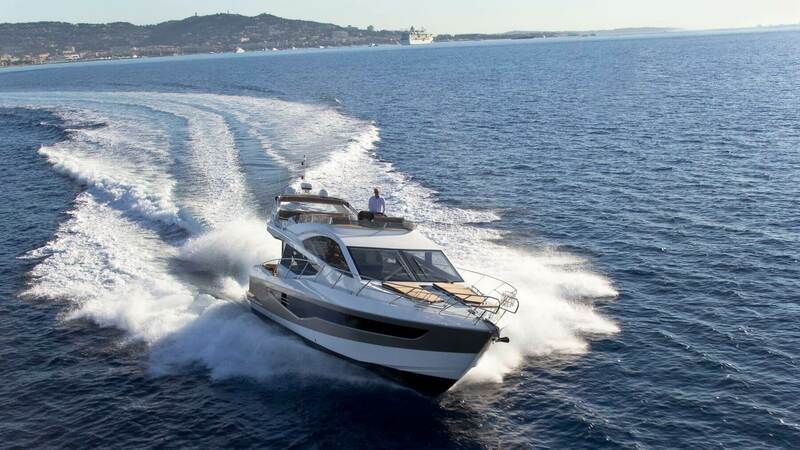 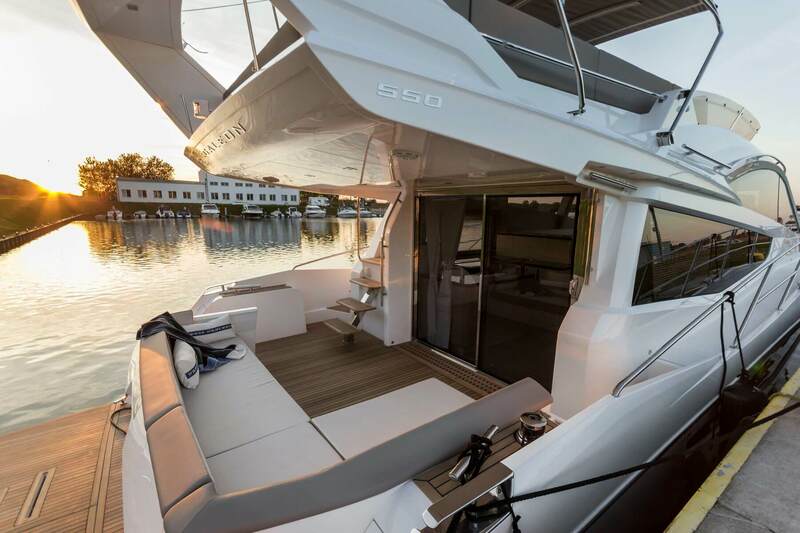 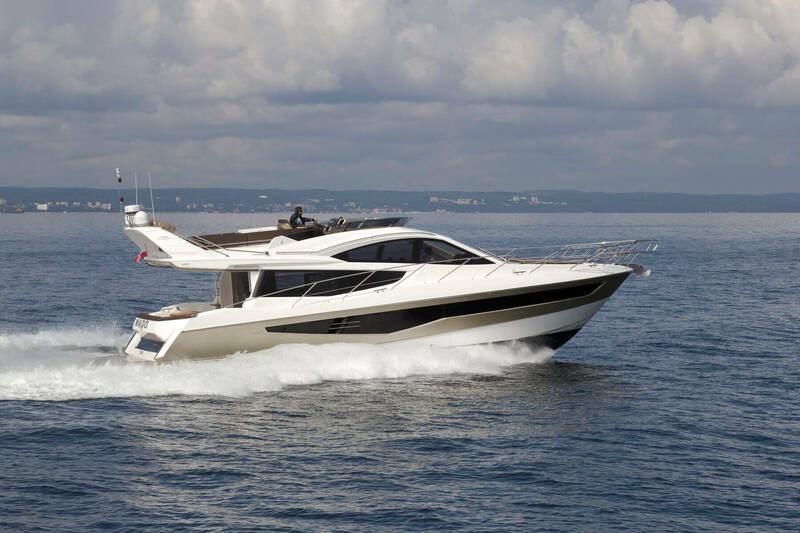 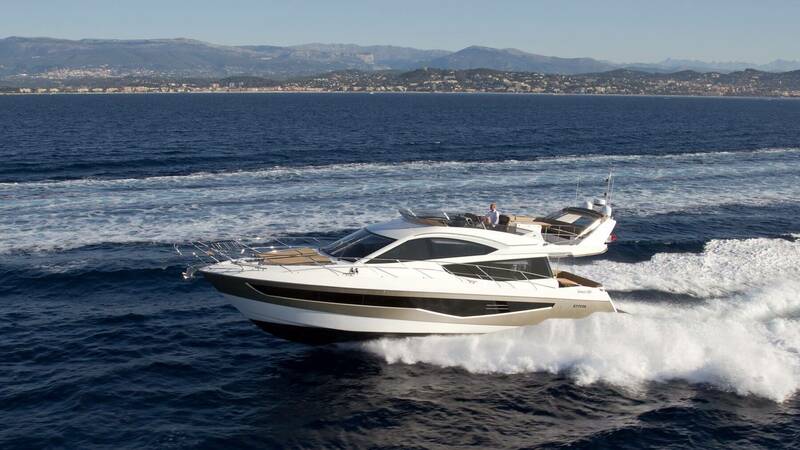 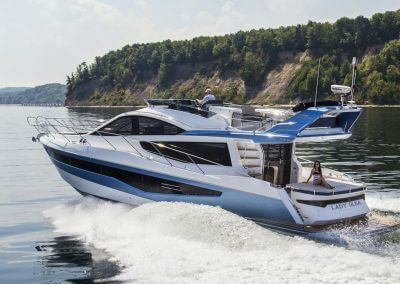 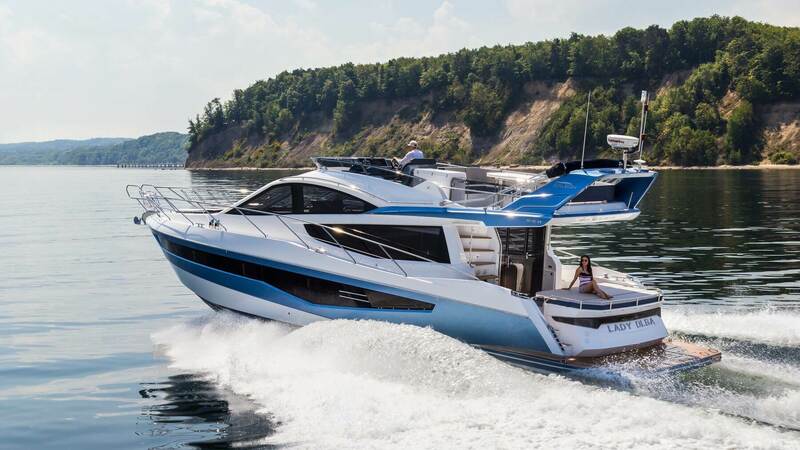 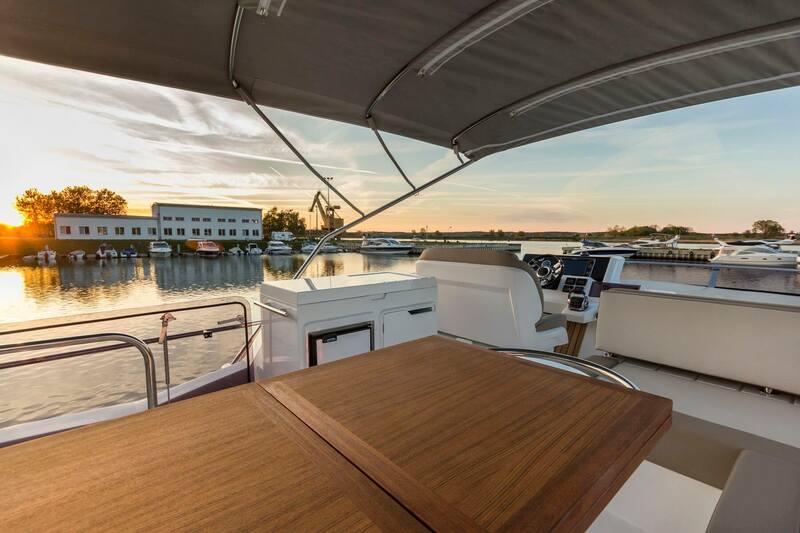 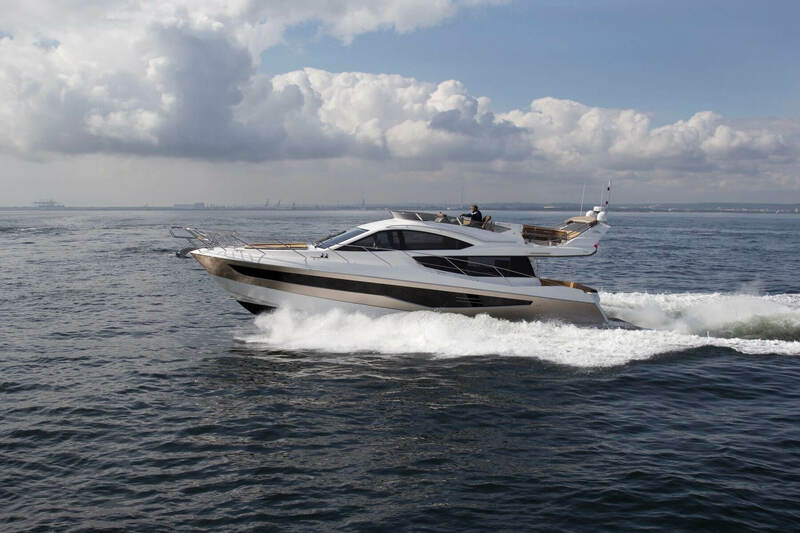 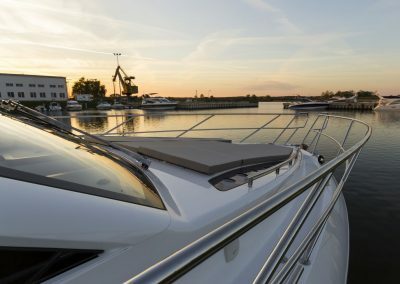 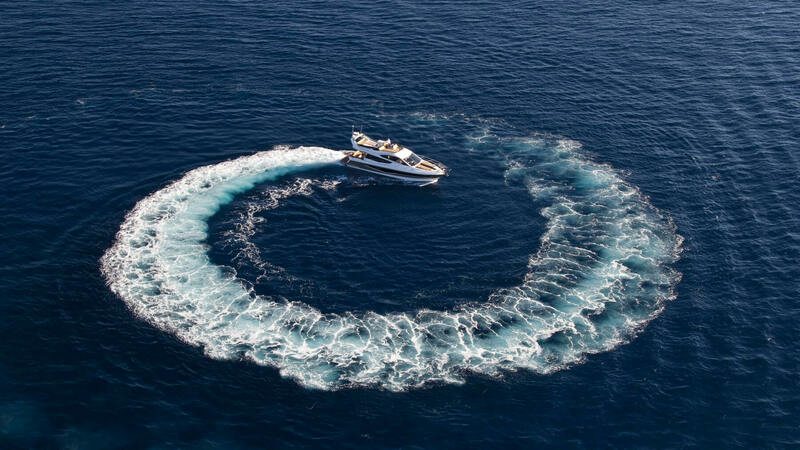 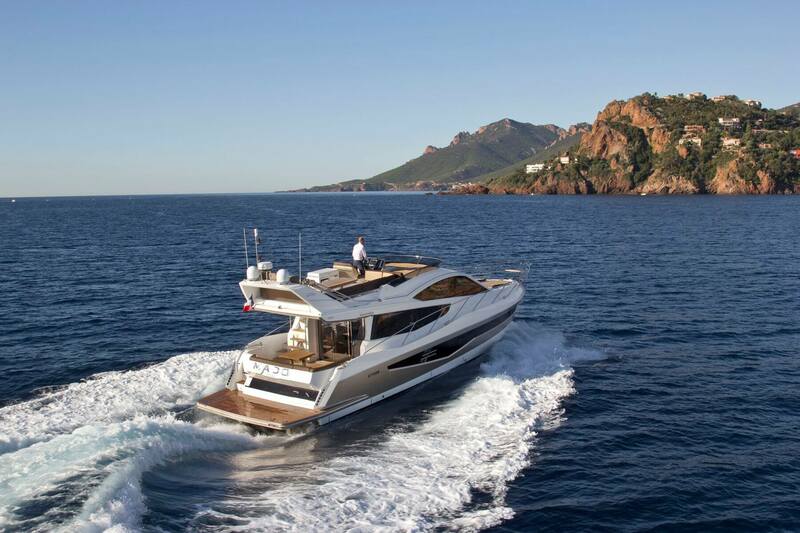 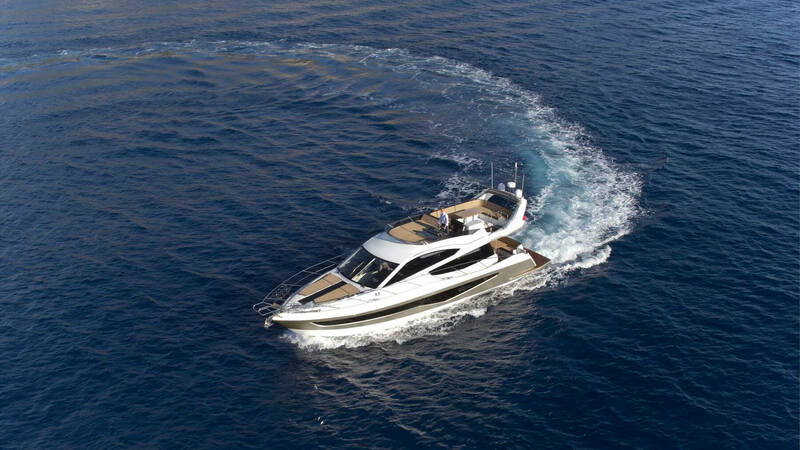 Outside, the specious flybridge will surely be the center of attention with its massive sundeck, functional bar area and a dining table with seating for eight guests. 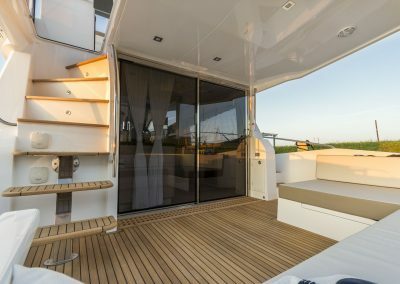 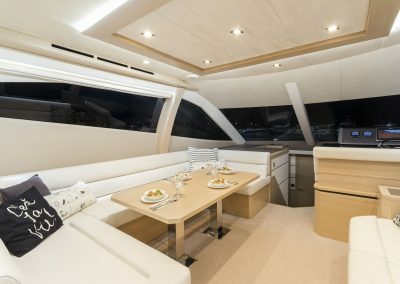 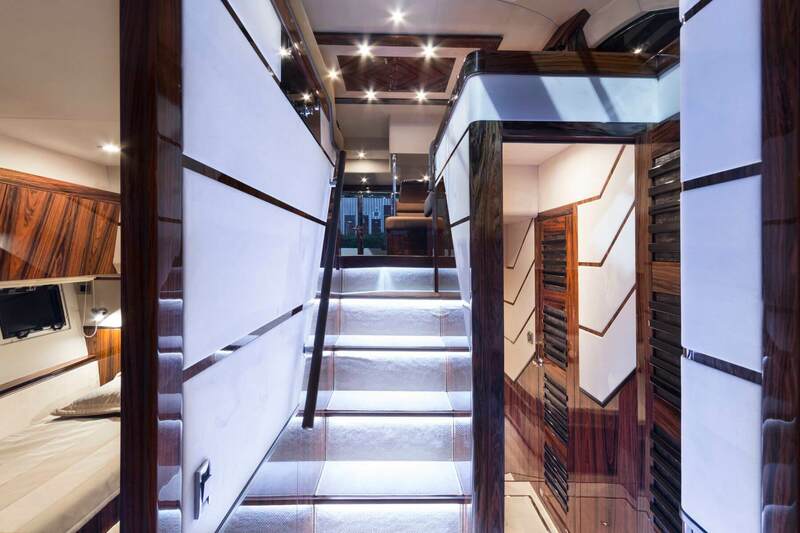 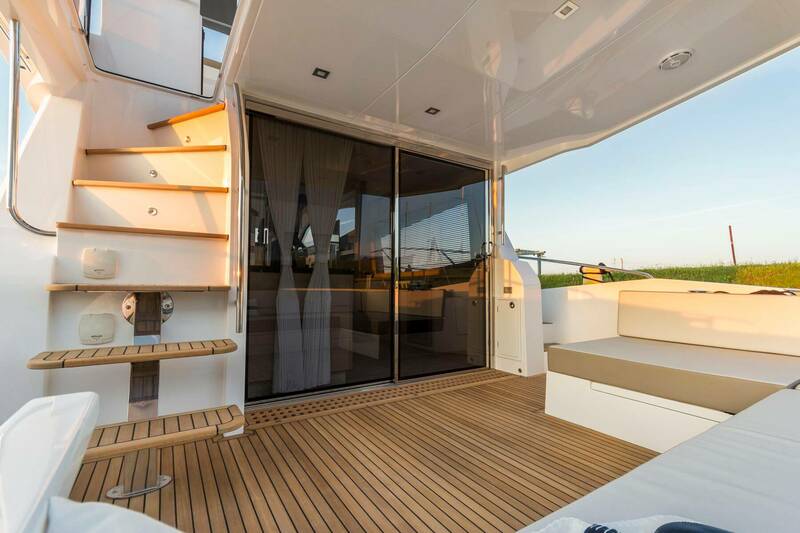 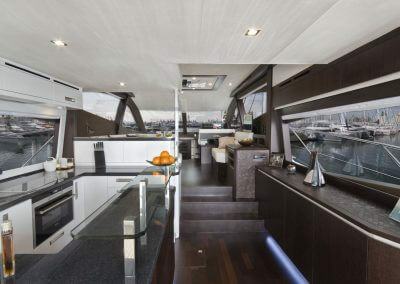 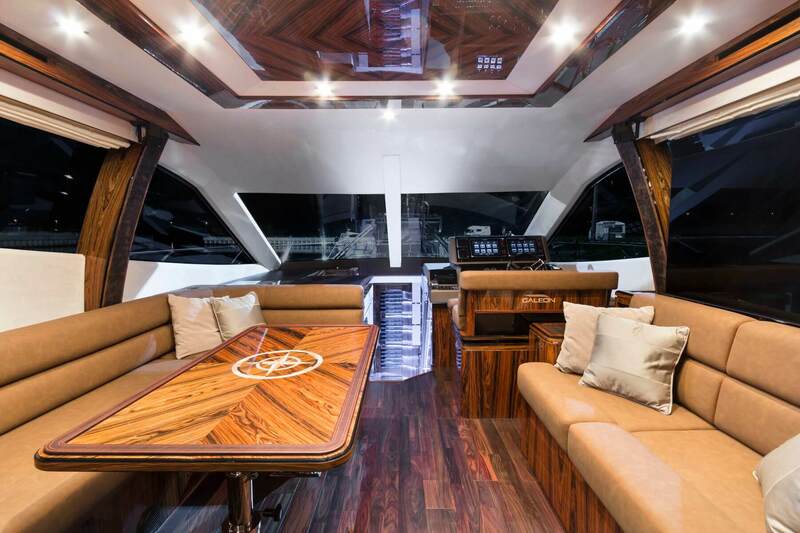 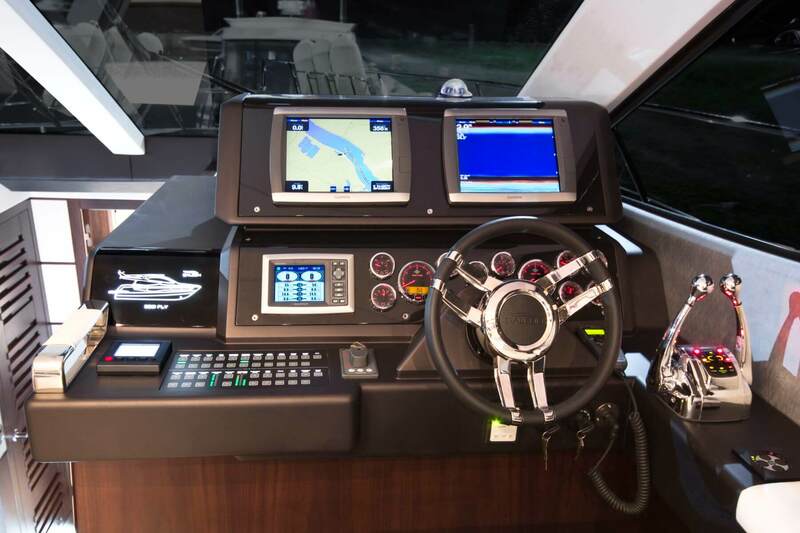 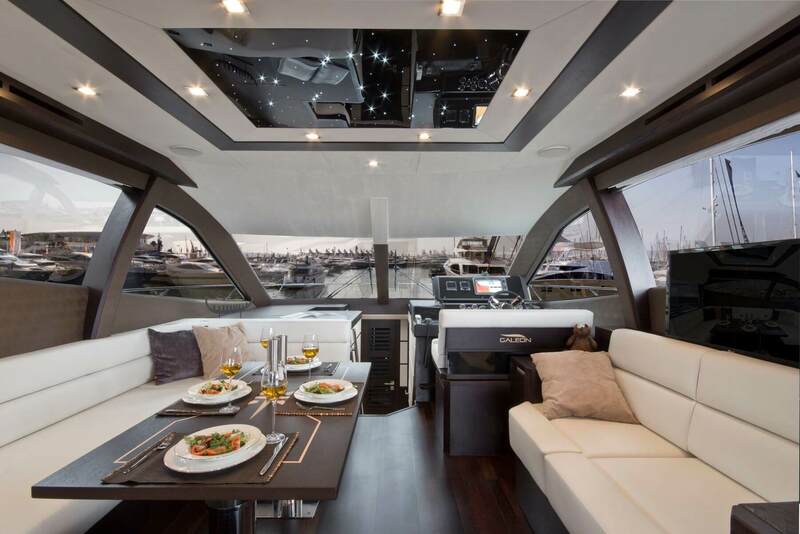 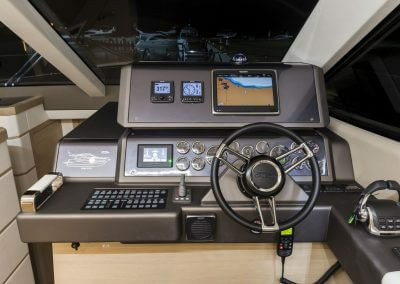 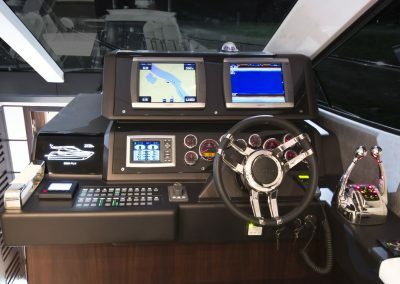 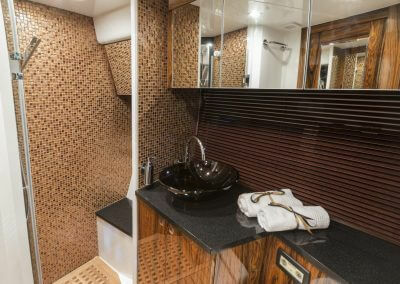 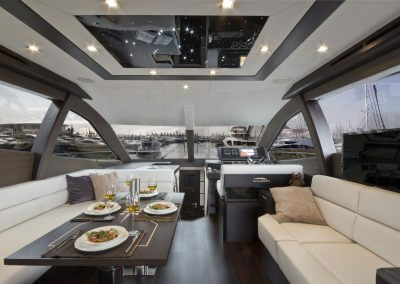 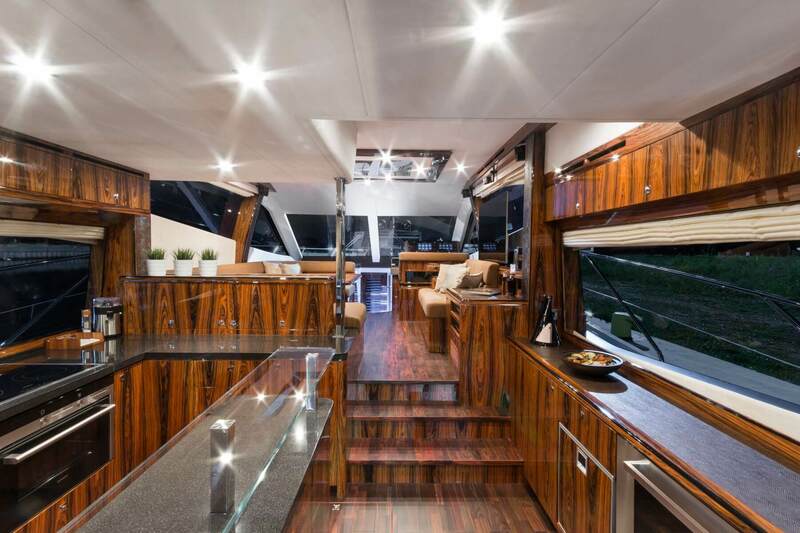 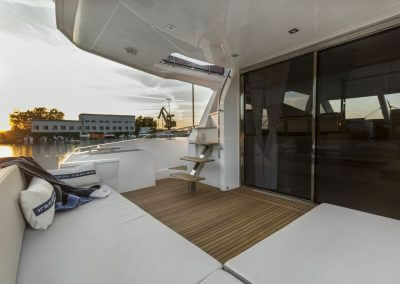 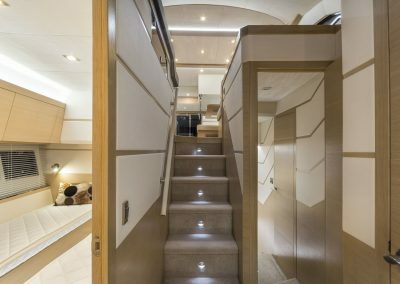 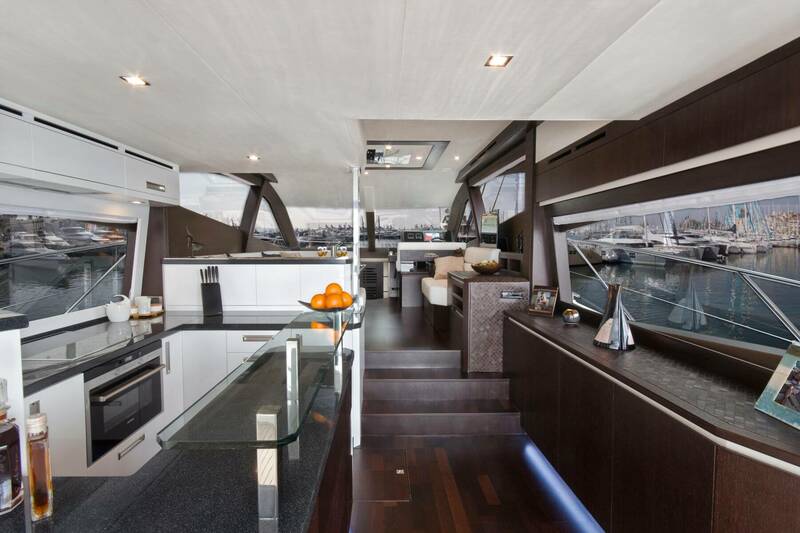 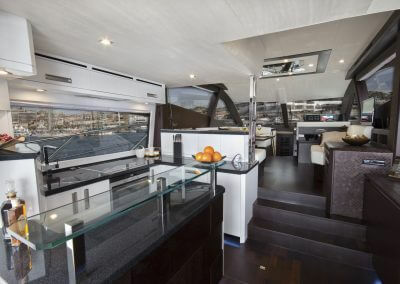 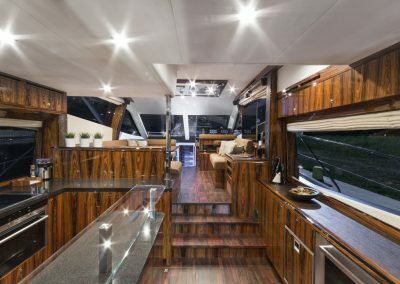 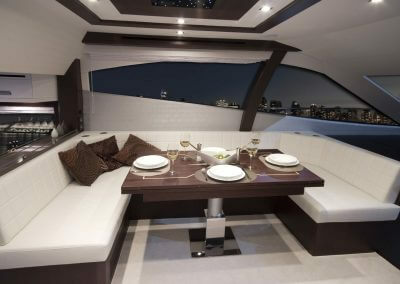 The aft cockpit and saloon are divided by retractable glass doors and share a wet bar area. 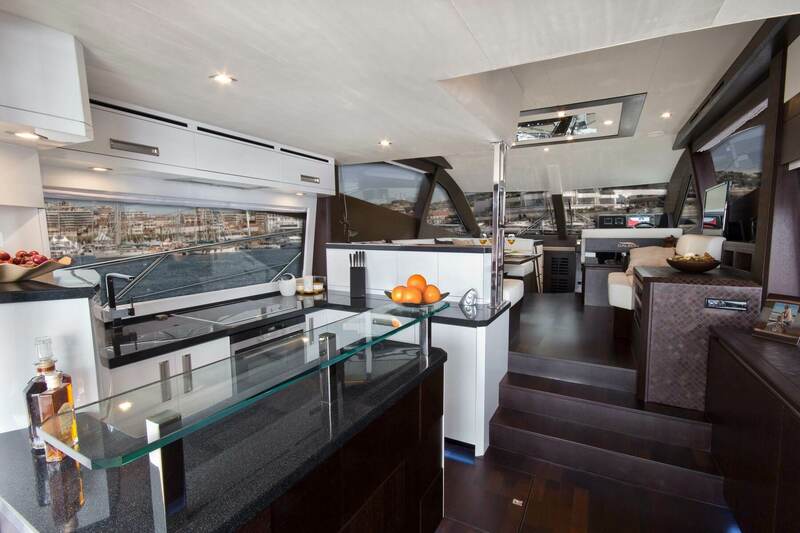 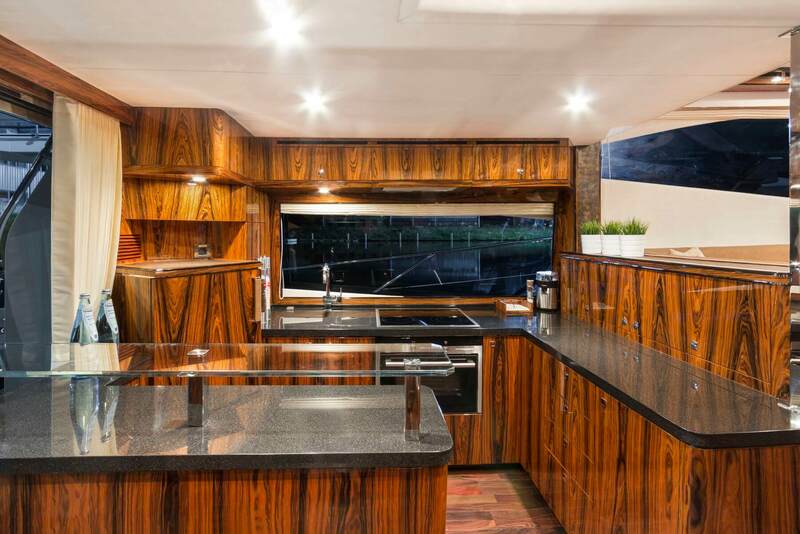 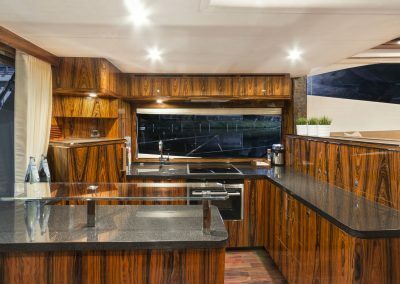 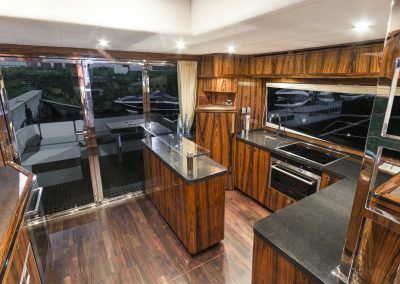 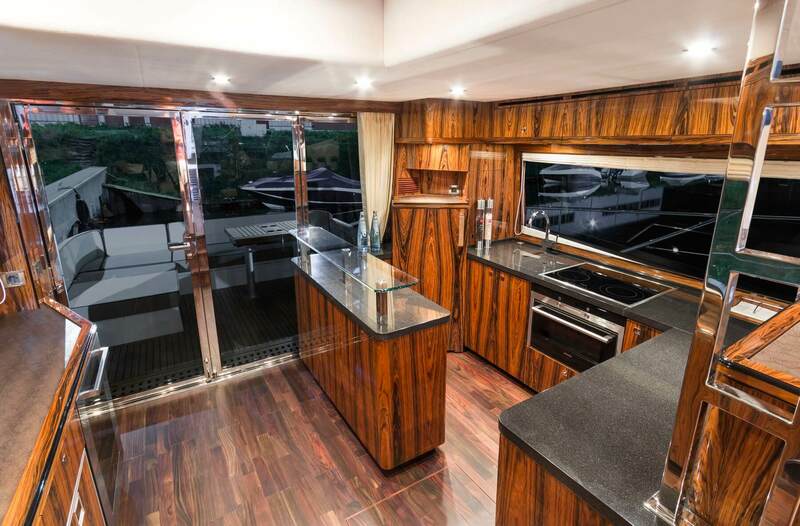 The main deck is complete with a galley, helmsmen station for two, twin sofas and a dinette that seats an astounding eight people. 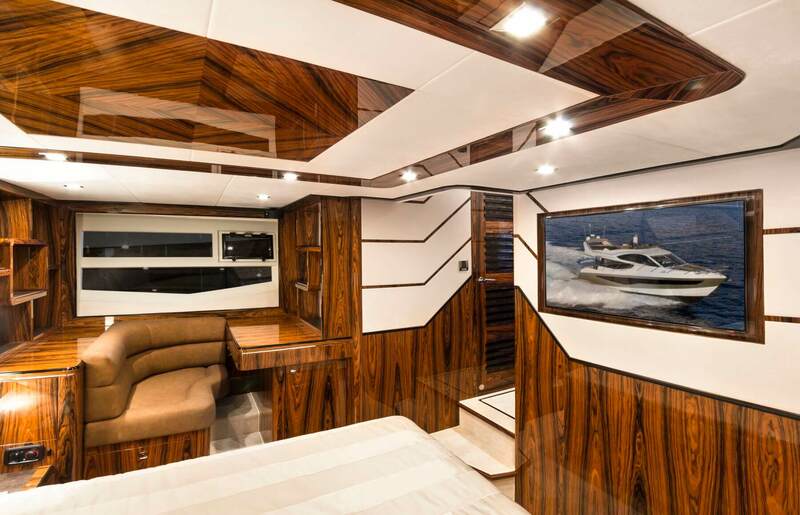 Numerous custom interior design lines are available with a choice of fine fabrics and natural hardwoods. 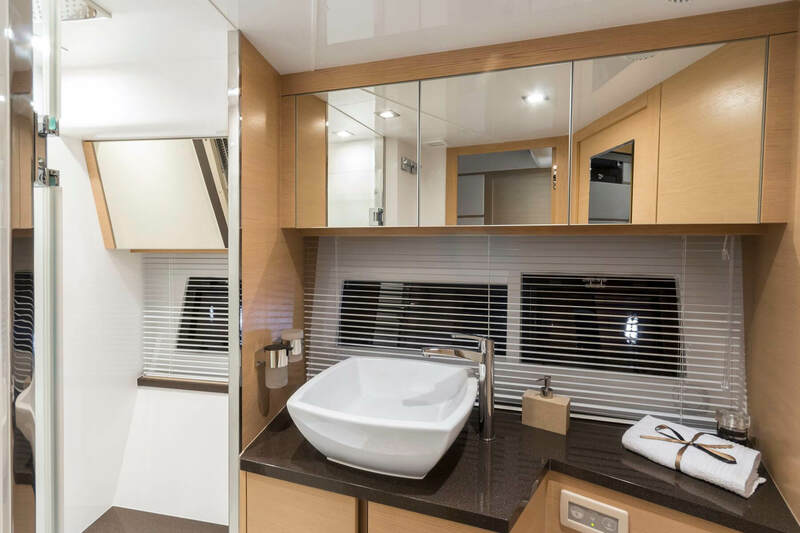 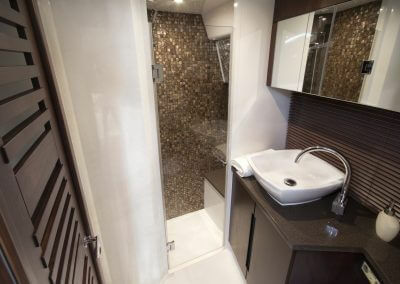 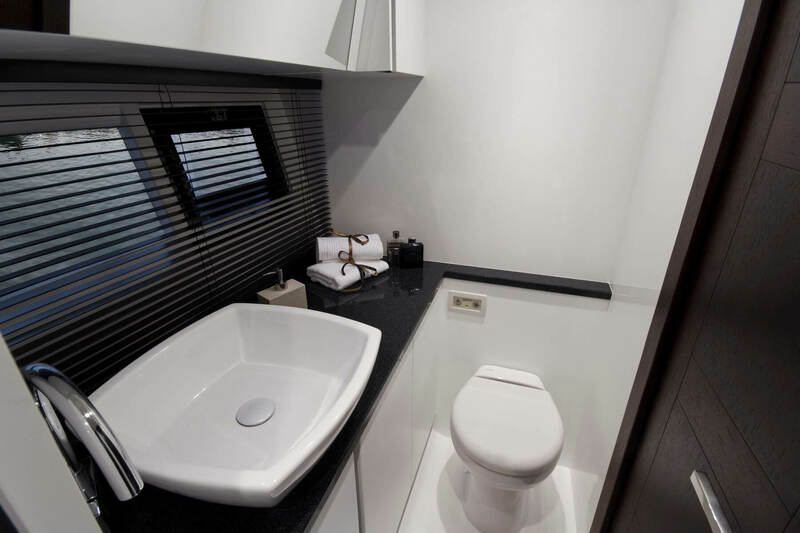 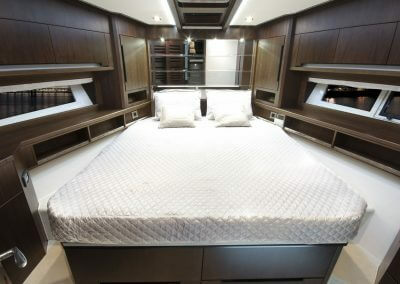 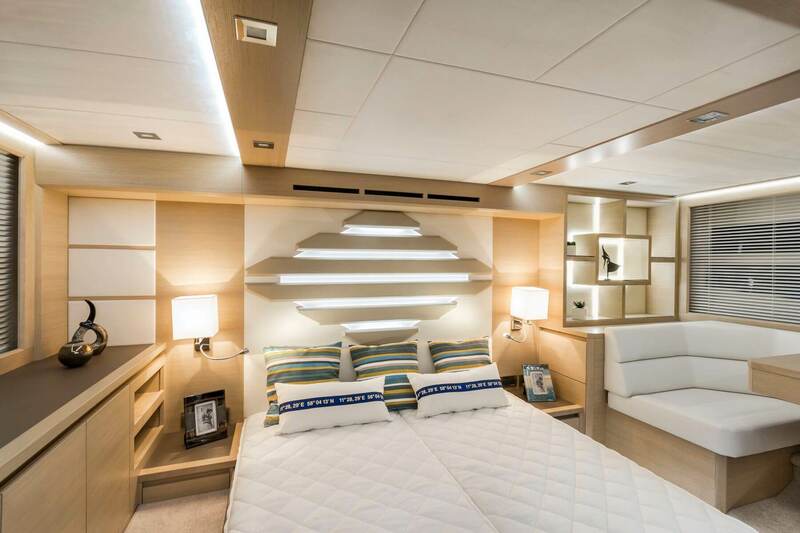 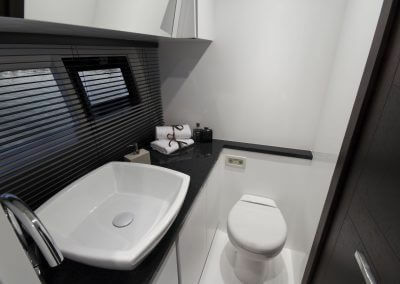 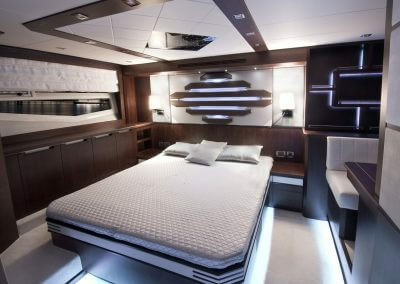 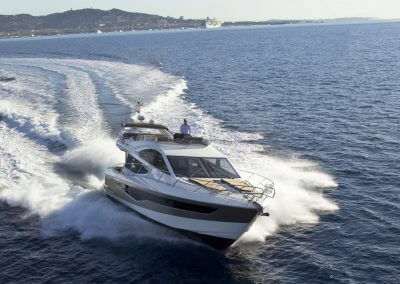 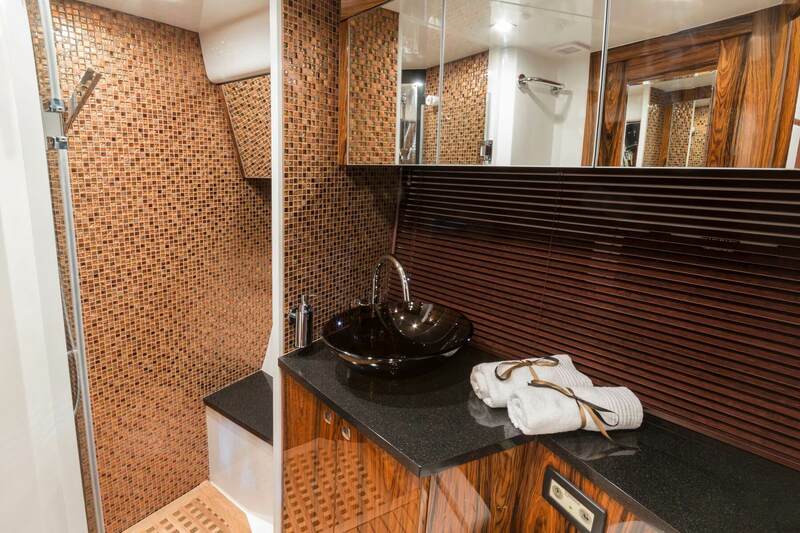 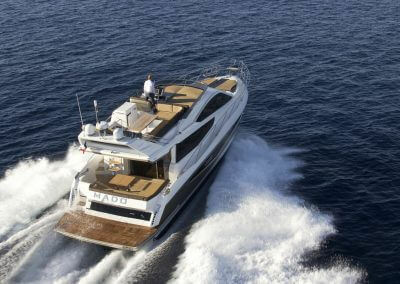 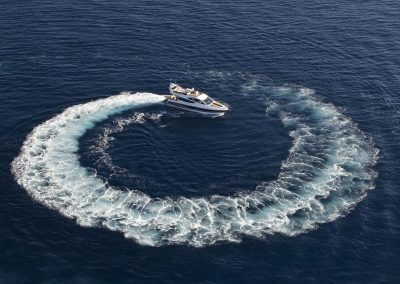 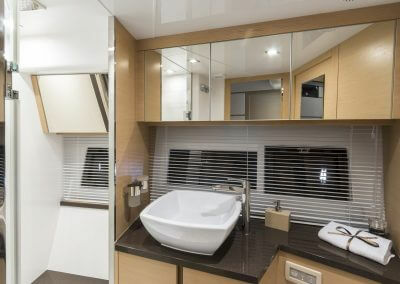 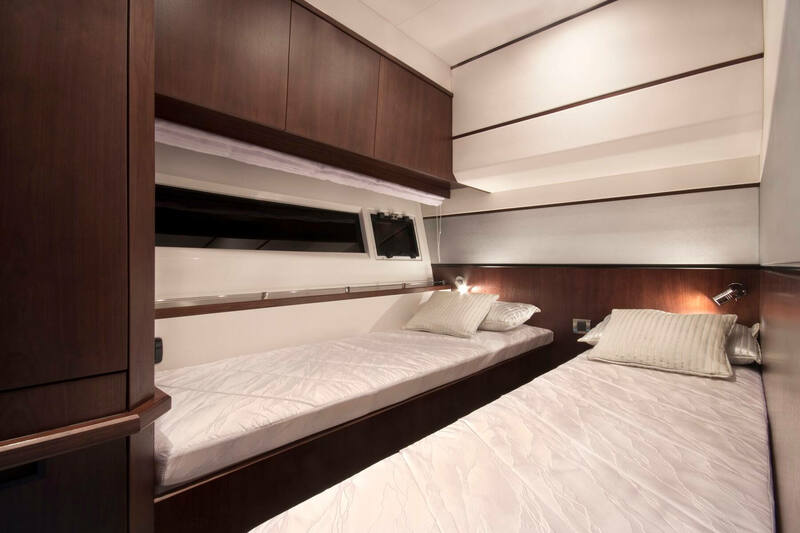 Below deck, three full-sized cabins offer six berths and plenty of storage for all luggage and necessities.